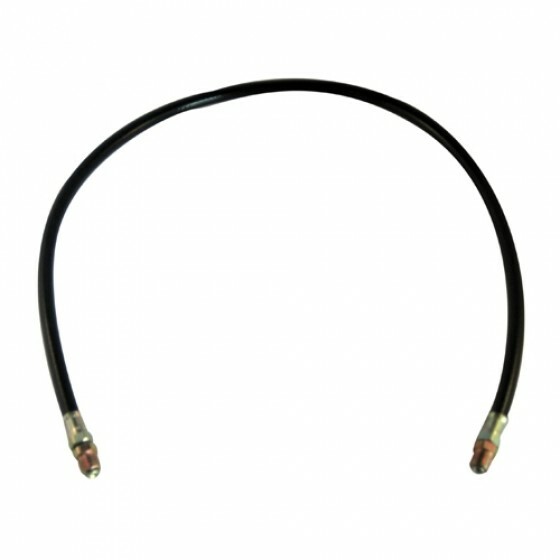 Oil Filter Inlet Hose 30"
Proper length hose with fittings. Goes from top inlet on oil filter canister to port just in front of fuel pump on block. Measures 30" in length. Questions: I ordered this 647585 inlet hose for my 54 M38a1. It fits into the side of the black next to the fuel pump but doesn't fit into the oil canister at the top. Its too large? Am I ordering the wrong one? Which one should i order? 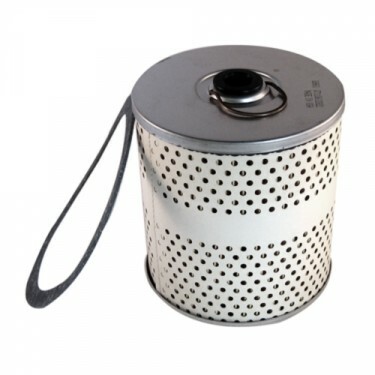 You need the proper fitting on the canister. Please call us toll free and we can help you out. Thanks! Questions: I need a oil pressure hose, engine to steel tube on firewall for my 1956 CJ-3B will the CJ2a ,CJ3a hose work? Yes, the Al198 will work for you. Questions: I have a cj-2a but the Oil filter inlet hoses made to fit my vehicle are impossible to put on without taking the engine out. I need a longer hose than 21. 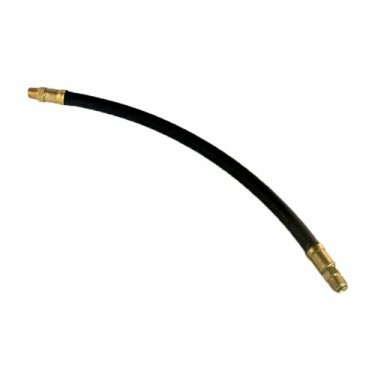 Does this hose have the same fittings on the ends as the Oil filter inlet hose for the cj-2a? Sounds like you have something unoriginal on there then. Please call us toll free. We can go over it. Questions: I have another question, my jeep, I believe is a 4-134 F engine, has both ends of the line tapered I believe. I ordered an oil line for it before but when it cam in it had both ends like a brake line tightening style and it was to big to fit into the jeep. 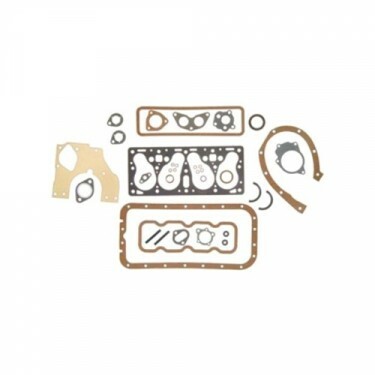 is there a way I can be sure of the engine model before purchasing more parts? I can not find the model number but I found the serial number. thanks for all the help. Willys used a few different style hoses and fittings thru the years. What we sell is the most common pitch configuration used. All you may have to do get a 49 cent adapter fitting. Questions: Hello. 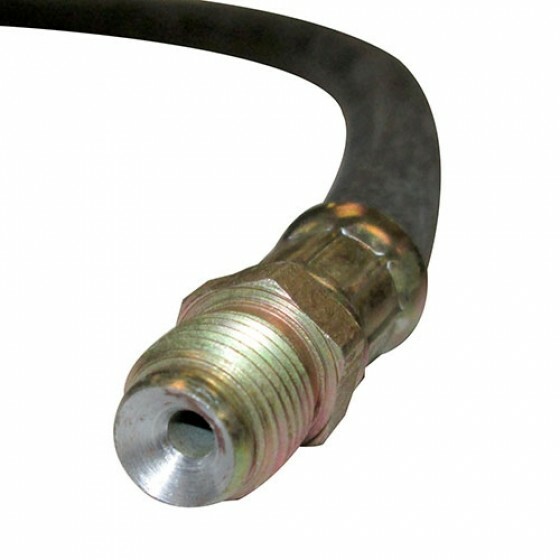 dose this oil line have a tapered end or dose it have like a flange on the end and a separate threaded piece to tighten down on? Yes that is correct, one end is stationary and the other a swinel stud. They are 1/4 pipe thread. Questions: Are there swivels on this hose and also the outlet hose for easy installation? 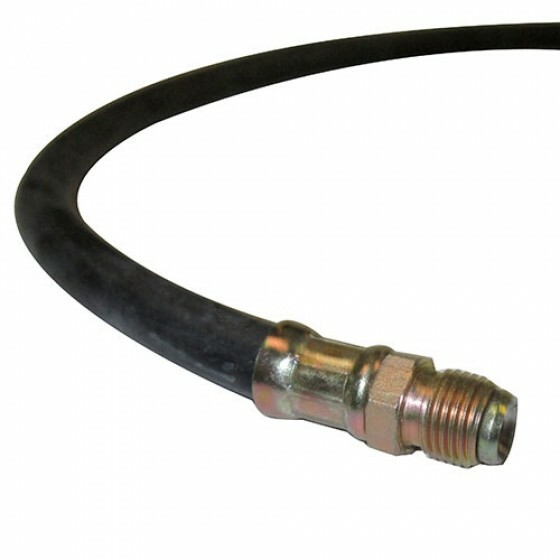 Also, on my CJ5, there is a short hose (about 10) that connects to the inlet hose. I assume this was not original and was done later? 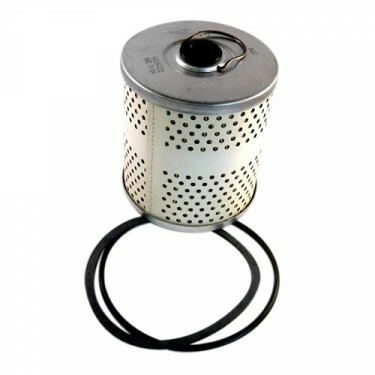 These are the original most common pitch and ends used on these Willys Jeeps. Questions: NEED A LONGER HOSE FOR A 1949 .Are the fittings the same as the 24 inch? Oil Filter Outlet Hose 12"